We have received more then 70 applications from all over the Nordic countries for the HYBRID MATTERs production grant. The quality of the applications has been generally high and so it was really difficult for the HYBRID MATTERs team to come to a conclusion. 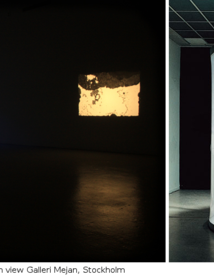 Finally we settled on the exciting proposals TROUBLED ATMOSPHERE by Hanna Husberg and FOLDING by Lawrence Malstaf. We are looking forward to produce these new works in collaboration with them and keep you updated on the develoments.